Helping older Aboriginal and Torres Strait Islander people remain connected to their community and their preferred services and supports. Our Aboriginal and Torres Strait Islander services are delivered by our team of experienced community based support workers, who can assist you as an advocate and practical support to help you work with other agencies. 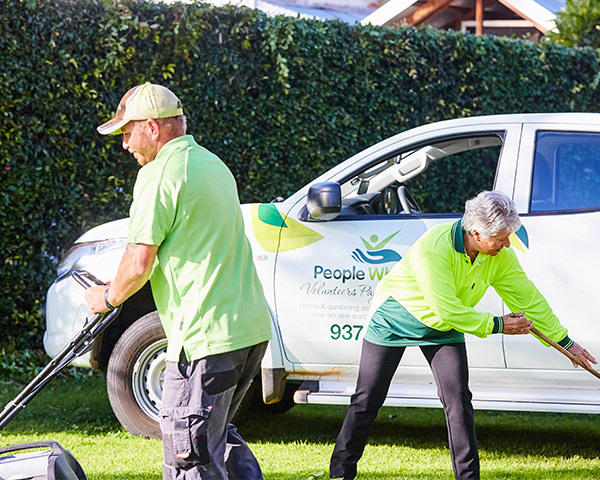 People Who Care provide a specialised Aboriginal and Torres Strait Islander services to older members of the community, incorporating social support, transport, diet and lifestyle programming, home and garden maintenance and domestic assistance. Service delivery is in keeping with CHSP guidelines. People Who Care Home and Community Care (HACC) fees are aligned to the Home and Community Care program’s fees policy. A fee assessment of your ability to pay a co-contribution for your services will apply however you will not be denied a service if you cannot afford to pay. Can I access these programs without government support? Yes. However, hourly rates are applicable. Please contact us for more information. What sort of transport can you assist with? People Who Care will consider every request and provide support subject to resource availability. Am I eligible for Individual or Group Social Support? Depending on your government assistance, you may be eligible for either or both. Please contact us for more information. Interested in a service? Get in touch with us today.